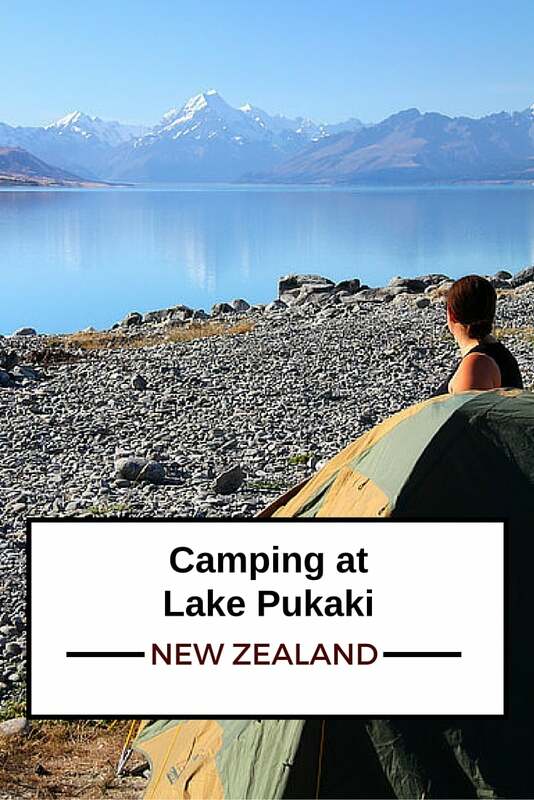 ​Lake Pukaki is one of the 3 lakes I visited in New Zealand that were all more majestic than the other and this is were we set up our camp for one night to remember… the view was so peaceful, the sky full of stars and the sunrise so… I let you discover! 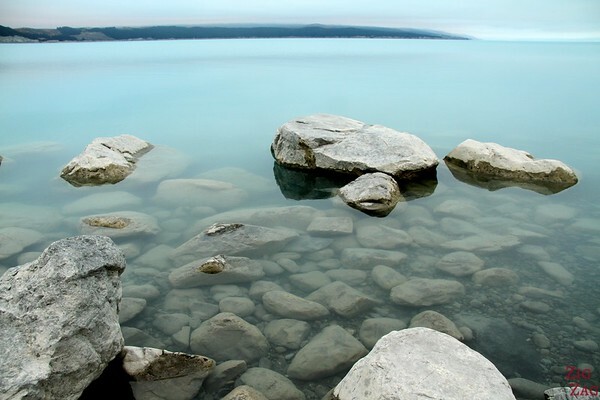 Lake Pukaki is one of the magnificient glacier lakes in South New Zealand. This is my favorite as it had viws of Mount Cook and incredible reflections of snowy and less snowy mountains. We were lucky to arriver under a beautiful blue sky to set up camp for what was the most incredible night I had in New Zealand. ). But you have to climb the hill if you set up near the lake for the views. It is considered one of the best spots to camp in New Zealand and I agree, those views are incredible. The lakeside reserve off Road 8 just before the bridge/visistor centre if driving West (so just after if driving east…). Keep driving down the gravel/stone road and you’ll get to the large parking area next to the lake. This is a popular site, so make sure to get in early and find the best position. It is sheltered from any wind and the trees stop traffic noise. And for camping information - booking fees and authorization check the DOC camping website - There is information that this camp site is only for self contained vans. 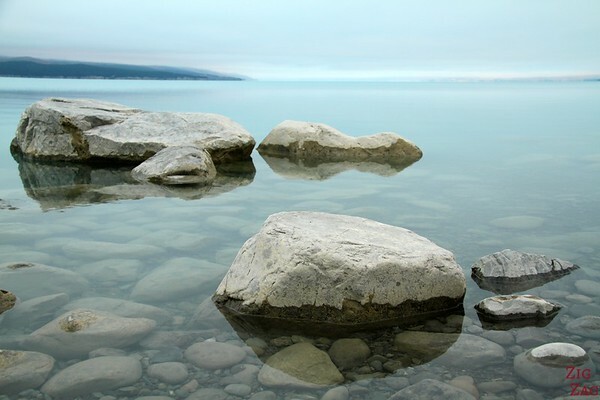 However I cannot confirm it as the DOC website says 0 camping at Lake Pukaki as of August 2016. As free camping is allowed in NZ, I don't see why tents would not be allowed in here; It is just an area near a lake with not much else. When our bus pulled over at the campsite, the excitement level of the group rose very high. We had such a beatutiful blue sky that we got to take in all the details of this magical location. 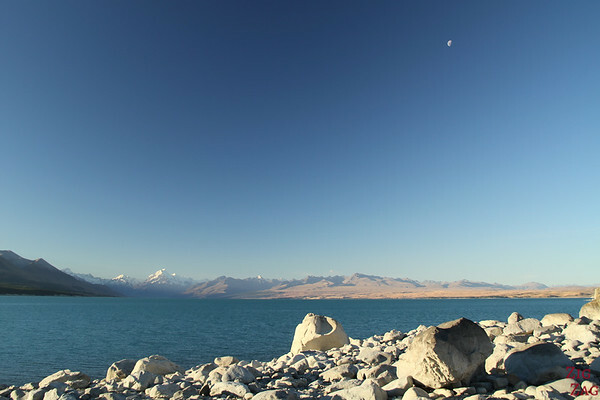 The site is right next to the lake, andyou also have amazing views of Aoraki / Mount Cook 70 kilometres away. First task was to set up the tents. Some set up camp just next to the water on the rocks (those have no back problem, I assume…) and others near the cliff (those were not somnambule I hope…). Personnaly I selected a nice safe patch of grass to build my tent in this magical environment. The lake is fed by water florwing fro the galcier which gives it that incredible blue colour. After diner, I sat down and enjoyed the sunset. It was nothing dramatic as there were no clouds and the moon appeared. But the experience of sitting there and admiring the subtle changes in colours of the lanscape is one of my ebst memories of New Zealand. Mount cook even turned a little bit red. Do you like camping in nature? Hello Claire, Lake Pukaki would be an amazing campsite. I saw it several times in the middle of the day and was amazed by the colour, but it looks like it would be magical at sunset and sunrise. 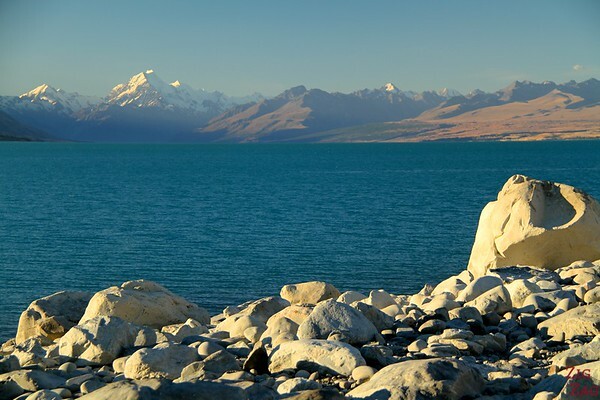 I love NZ and although I’ve already spend about 5 months there over a couple of trips I still want to go back, and next time I do I’ll remember your post on camping at Lake Pukaki. Hi Bonny. Thanks for your comment. I agree with you it is an amazing place. 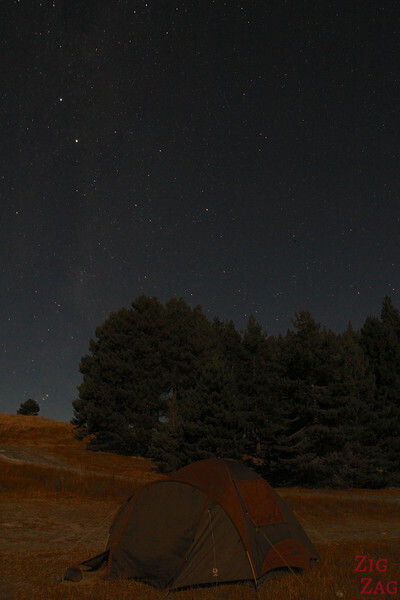 If you have a chance to go back, definitively try planning a camping night. I am thinking myself about going back to New Zealand and take more time to discover it… we’ll see! 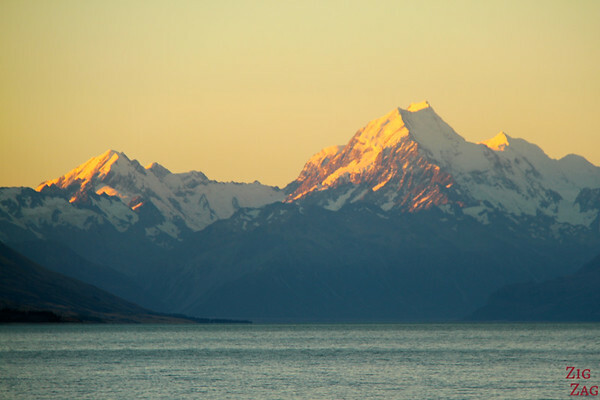 Planning to pitch a tent in Lake Pukaki on our way from Queenstown to Christchurch in the summer. However, I asked DOC and they said only self-contained campervans are allowed to came in the area and tent camping is not allowed. 🙁 Have they changed rules? I tried checking the DOC website and when I search for Canterbury / Lake Pukaki area, it says 0 camping. I did further research and others are saying it is only for self-contained camper van. That seems really strange. I can’t imagine any reasons why tents would not be allowed if you allow free camping anywhere… It is just an area near a lake with tracks that are not even easy to take for motorhome! Sorry I cannot be more useful.